Announcement! My Book Bestie is Going to Start Blogging Here on YA and Wine! 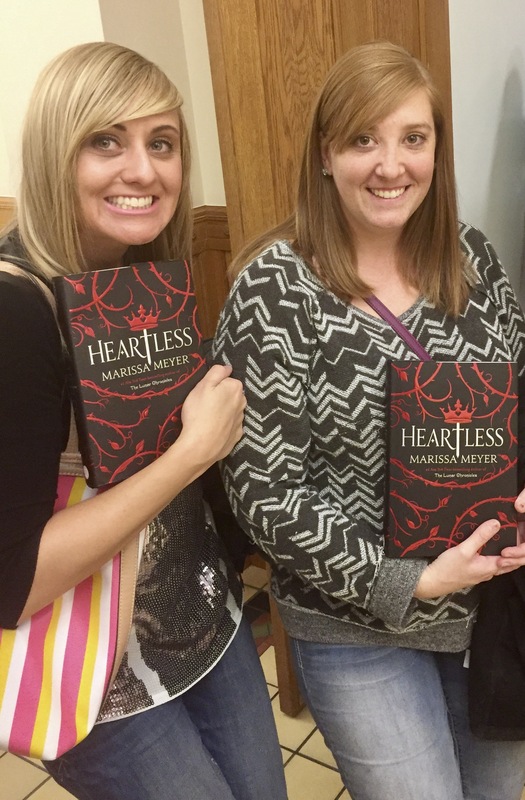 Many of you already know my book bestie, Sarah. Sarah and I have worked together in various capacities over the years, including in our Muggle jobs and on our YA and Wine Book Club at The King’s English Bookshop. Sarah is a huge YA fanatic and a total sweetheart, so I’m really excited to have her participate! You’ll start seeing some posts from Sarah here in the next couple of weeks! 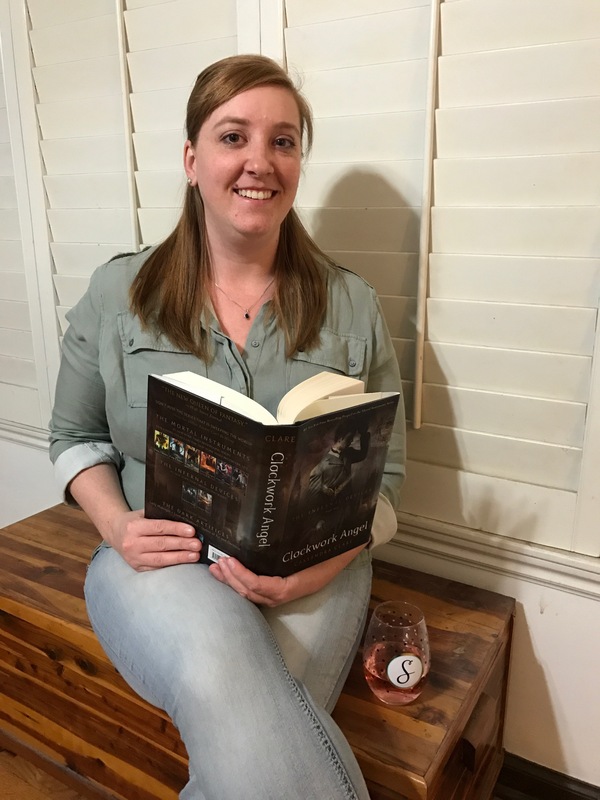 Sarah is a lover of wine and reader of YA literature. She is the Co-Founder of THE best book club in Salt Lake City, UT, YA and Wine. She is a book reviewer and a confessed author event junkie. Do any of you have blogging partners, book besties, or someone that you run a book club with? Have you met Sarah online yet? We hope you’re all having an amazingly bookish weekend! I know Sarah!! Tell her I said hi from the Twitterverse! I DEFINITELY will! Ah, man! That’s too bad. Well, you can chat with us anytime! Sounds good! I’ll be taking you up on that! Welcome book bestie 🙂 And great choice of book for your pic! Awe!! Thank you all!! It’s going to be fun getting to know all of those I’ve not met yet, and to connect more with those who I’ve become friends with in the Twitterverse!! Thanks, Kester! Sarah isn’t set up on WP just yet, but I’ll have her up and running by Tuesday! 😁 She did want me to thank you for being so welcoming though! Awww, thanks, Mandy!!! Also, not lame at all! Double the wine and double the YA is never lame. 😉 LOL. Hahaha. Yeah, things could get really interesting around here! That’s awesome!!! I’m in the same boat…I joined the blogging world with my friend who started Midwestern Book Nerd. So excited to see what you both have in store for your blog! Oh, that’s awesome! It’s already so much more fun having a partner in crime! Plus we’ll be able to post about more books this way too! Looking forward to getting to know Sarah! If she’s anything like you, I’m sure I will! Awwww, thank you!!! ❤ By the way, the Rosalyn Eves event is tonight that I'm having your book signed out, so expect it soon! Well, hello! Thanks so much for stopping by!